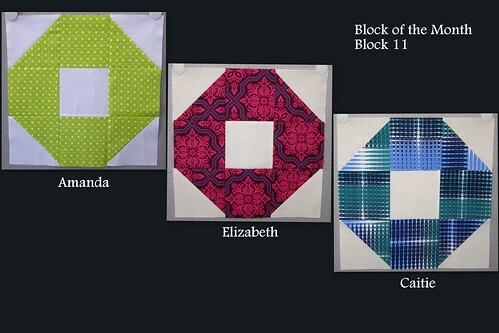 Here's the second 9-patch block we made for June: the octagon. The three of us really liked this striking design and talked about different ways to use it in a quilt top -- all the same fabrics, one background and various prints, or even mixing fabrics in each octagon. Like the Greek cross (block #10), this one came together quickly and easily.